My Kirkus column for this week, which is at this link this morning, is all about the chapter book series Anna Hibiscus, published by Kane Miller Books. There are four titles thus far in the series, the latter two having been released just last month, and it wasn’t till these last two were released that I discovered the series as a whole. And I have to say: I can’t yawp about them loudly enough. They are entirely, without skipping a beat, enchanting. So, head on over there this morning if you’d like to read more about them. Next week, I’ll have some interior art from the series to share with you (as they are illustrated chapter books). 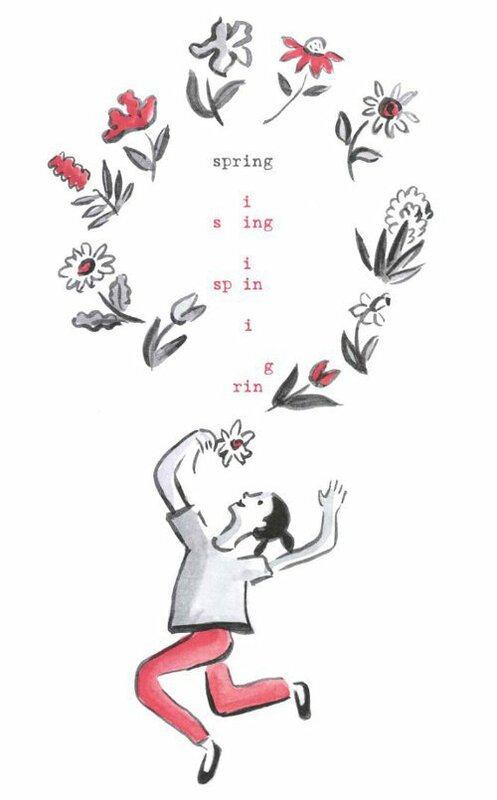 And, speaking of illustrations to share, at last week’s column I shared 3.1 new children’s poetry titles. (The “.1” is all on account of how I only have 600-800 words to express myself over there, which I think is, ultimately, a good thing for me to learn. Economy of expression, that is.) This was all in celebration of the launch of National Poetry Month. If you’d like to read that column (and weigh in with any recommended poetry titles), it’s here. 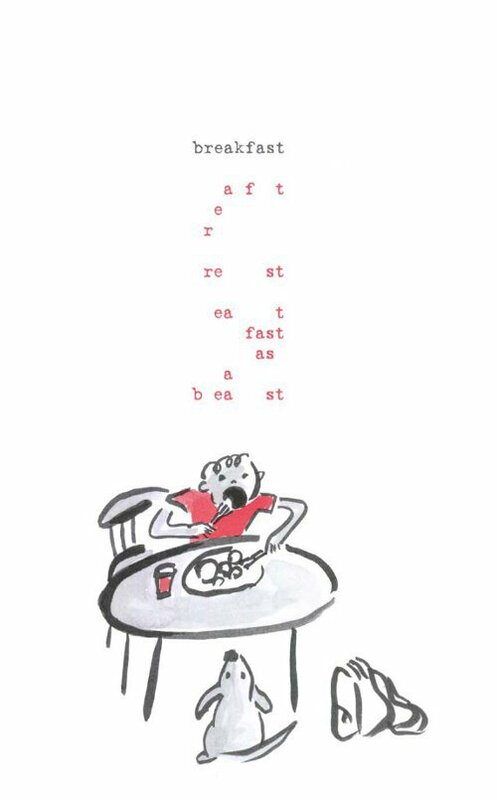 As promised, here are some illustrations from each of those titles (the one opening this post is from Bob Raczka’s Lemonade: And Other Poems Squeezed from a Single Word, illustrated by Nancy Doniger, but more on that below), as a discussion of them without a sneak-peek at the art is downright TRAGICAL. 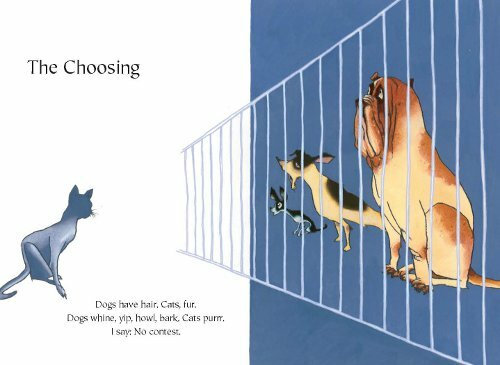 “The Choosing: Dogs have hair. Cats, fur. / Dogs whine, yip, howl, bark. Finally, I’m happy to be sharing these poems from Bob Raczka’s Lemonade: And Other Poems Squeezed from a Single Word (Roaring Brook, March 2011), illustrated by Nancy Doniger, ’cause a) I love Raczka’s wordplay here, and b) it is possible—even before breakfast—to describe these poems (as I attempted over at Kirkus last week) but much easier to just show them. Enjoy. Today’s Poetry Friday round-up is at Madigan Reads. 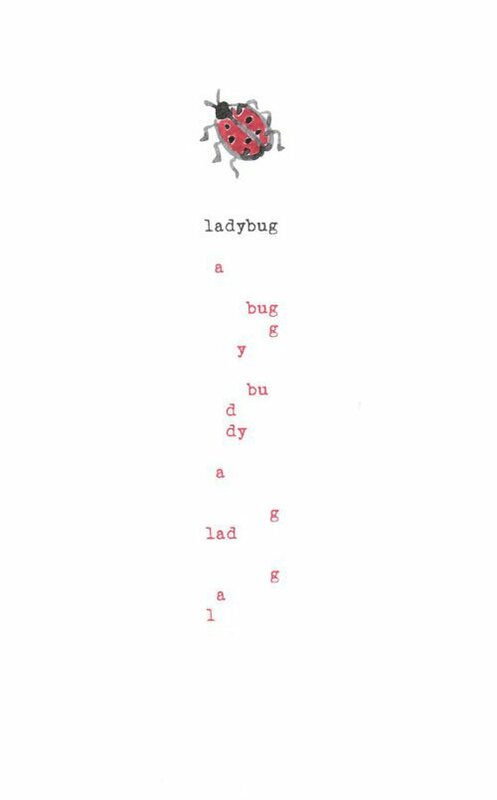 LEMONADE: AND OTHER POEMS SQUEEZED FROM A SINGLE WORD. Text copyright © 2011 by Bob Raczka. 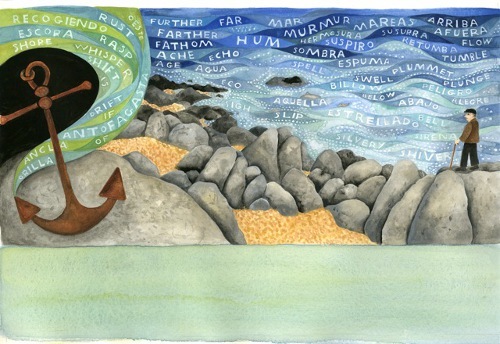 Illustrations copyright © 2011 by Nancy Doniger. Reproduced by permission of the publisher, Roaring Brook, New York. PABLO NERUDA: POET OF THE PEOPLE. Text copyright © 2011 by Monica Brown. 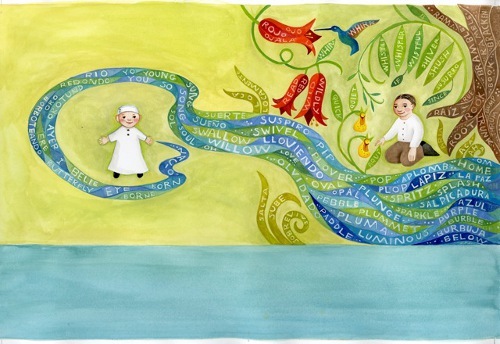 Illustrations copyright © 2011 by Julie Paschkis. Published by Henry Holt, New York. Images reproduced by permission of the illustrator. A PRIMER ABOUT THE FLAG. Text copyright © 2011 by Marvin Bell. 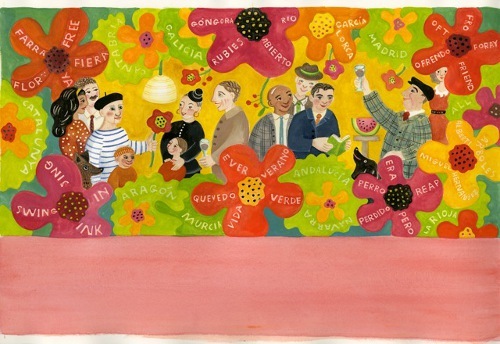 Illustrations copyright © 2011 by Chris Raschka. Reproduced by permission of the publisher, Candlewick Press, Somerville, MA. 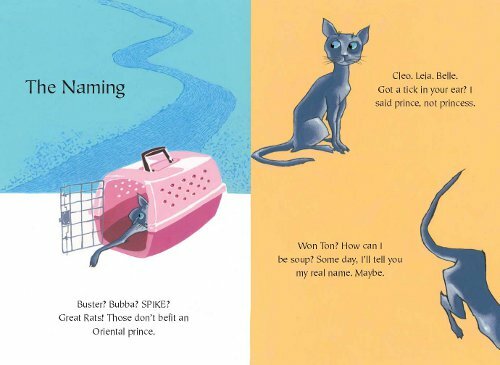 WON TON: A CAT TALE TOLD IN HAIKU. Text copyright © 2011 by Lee Wardlaw. Illustrations copyright © 2011 by Eugene Yelchin. Reproduced by permission of the publisher, Henry Holt, New York. 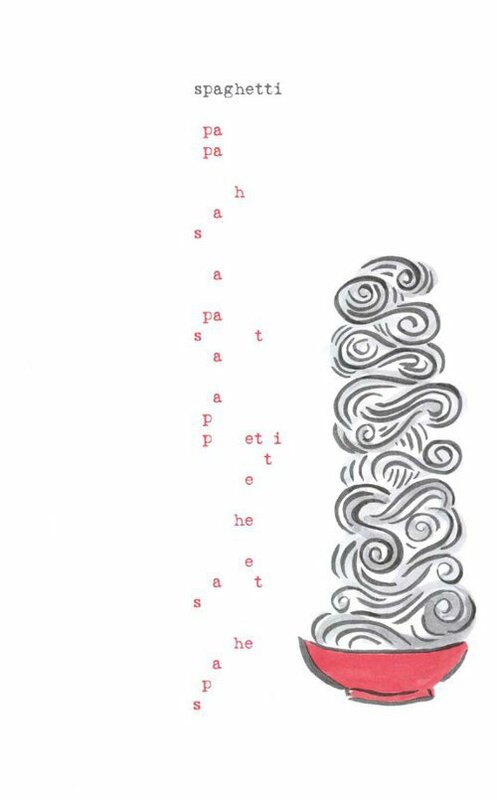 I LOVE the squeezed poem idea and immediately want to try it. NOT so easy as it looks at all, but FUN. And as a great admirer (and friend) of poet Marvin Bell, with whom I taught for many years at Centrum Writers’ Conference, I say: WHOOT! WHOOT! 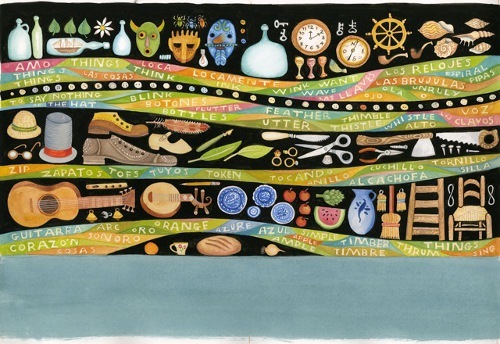 The Pablo Neruda art is GORGEOUS. Love the incorporation of words in the pictures. Those squeezed poems are too clever. Yay for breakfast and spaghetti! The Pablo Neruda book blew me away!! Gorgeous. Won Ton is already on my list of books-to-buy, and Lemonade looks so clever, in the best sense of the word. oh my aren’t those charming. is slowly coming in ! I tried a squeezed poem. Not easy. Not. At. All. 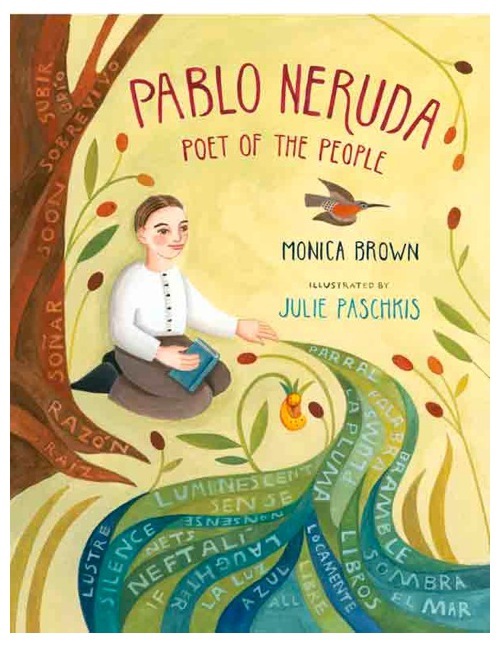 Paschkis’ Neruda reminds me of Melissa Sweet’s WCW. Must have the Neruda, absolutely. Just realized you live in Smyrna, where my son, DIL, and their fascinating young friends live. We visit often. Since I’ve just followed the breadcrumb trail over from RAMH, I’ll take some time to get better acquainted. Nance, definitely! Let me know if you’re ever in town.